The nine data science graduates are Jeevan Mokkala, Emanuel Lucban, Adam Osborn, Nikhil Krishnan, Thao Vo, Alexander Ivanoff, Liam Shi, Howe Cui and Ting Chih Lin. It appears, however, that many students will follow in their footsteps: This fall, when the major officially opened for students to declare, nearly 1,200 filed predeclarations. 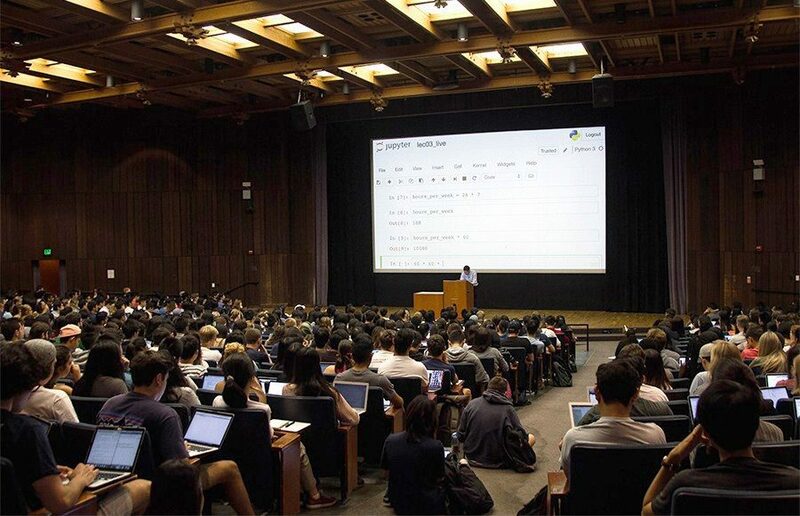 On Monday, 54 students were mistakenly enrolled in “Foundations of Data Science,” or Data 8. This incident occurred only days before the add/drop deadline, resulting in difficulties for those who changed their schedules based on this false enrollment assumption. Jupyter, a free open-source notebook serving as a platform for interactive computing, will receive the Association for Computing Machinery Software System Award on June 23. Data 8X, the course’s online equivalent, is free to audit, but students must pay in order to take exams and receive a certificate. This certification, however, will likely not transfer as academic credit or satisfy the data science major requirement, according to Cathryn Carson, the faculty lead of the Data Science Education Program.